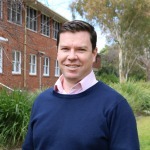 Angus Crossan is an innovation specialist with broad experience. He started his career as a researcher at the University of Sydney and then led R&D investment program for the Australian egg industry. He has founded and worked within several food and agritech start-up ventures. As innovation manager for Food Innovation Australia, Angus is now using his experience to help the Australian Food and Agribusiness sector harness innovation to access new markets and increase profitability. He has won a number of awards including an Australian Government Science and Innovation Award for Young Scientists, Cotton CRC Innovation Award, and an International Specialised Skills Fellowship.